Photos are an important part of any BPO. Always keep in mind that the party reviewing / requesting the BPO report is often in a completely different part of the country then where the property is located. You are playing the role of their eyes and ears in the field. When performing an exterior BPO you will not have access to the interior of the property and therefore cannot take interior pictures. Exterior photos should include a picture of the street the home is situated on. The purpose of this picture is to illustrate a heavily trafficked street or other potential defects to the subject’s location. Exterior photos of the subject property should include a picture from each side of the home as well as the front yard from as many angles as possible. Take as many pictures as you can while you are at the property. Nothing is worse then getting back to the office only to realize that you forgot to take a picture of the right side of the home. A commonly requested photo for an exterior BPO is address confirmation. The requestor would like photographic proof of the house numbers. 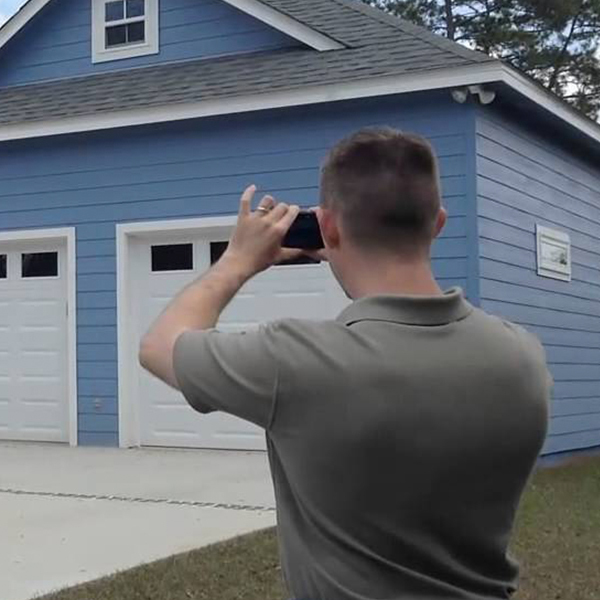 If you cannot find numbers on the house, do not stress it, take pictures of the mailbox or any other numbered items that can assist in identifying the home. When tasked to complete an interior BPO you should take the same photos you would for an exterior BPO, however, additionally take photos of the interior of the home. Each room in the home should be photographed. Each item that you feel requires repairs should also be documented in a photograph. With digital cameras there is no additional cost associated with taking as many photographs as possible. You do not want to get back to the office to realize that you are missing a picture of the kitchen damage you remember seeing. If you have too many photos you can always delete the extras, unfortunately, the inverse is not true. As a side note, you will want to adjust the settings on your camera to take the smallest images possible. Most digital cameras today have default settings that produce very large images, which are important when you are going to print an image. For the purpose of a BPO, you will want to have an image that is visible, however, you do not need to have an extremely large image. In many cases your client will not want extremely large file sizes. Check your cameras instruction manual for more instructions on customizing the image size. With the AMN Forms bulk photo uploader, all of your photos can be easily uploaded to the your BPO, and will automatically resized if they are too large. Smartphones are also a popular choice for BPO photos. One caveat to using a smartphone camera is the limited flash – if you find with your phone that you’re not able to get good shots in dark rooms, then it might be worth investing in a proper digital camera.